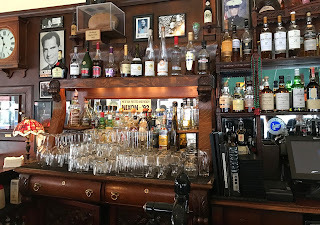 Step into Jake's and it seems instantly recognizable to anyone who has been in one of the 85 or so McCormick & Schmick's around the country. 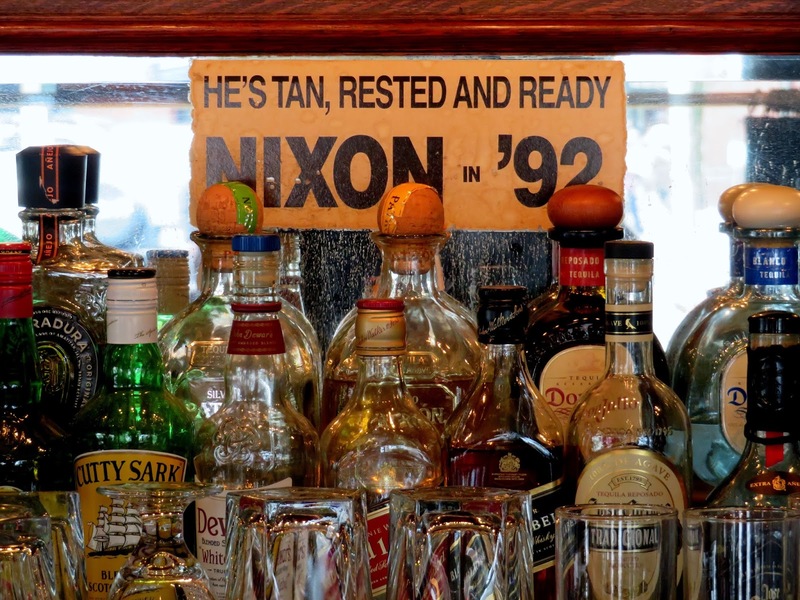 That means pretty good food (usually an emphasis on seafood), excellent happy hour deals, pretty good service, and a friendly, decent bar that looks -- and often is -- 100 years old. But McCormick & Schmick purchased the business only in 1972, after the business had been running in this location since 1911. Many people date Jake's as the second oldest restaurant in Portland, after Huber's. Indeed, some date the business back to 1892, through a string of preceding businesses in other locations. 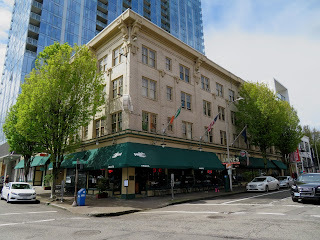 The Mueller and Meier saloon was established in 1892 at 18th and Washington, and moved into the just constructed Whitney and Gray Building in 1911. Mueller and Meier sold the business to Jacob "Jake" Freiman and a partner during prohibition, with Jake passing away just as prohibition was ending. 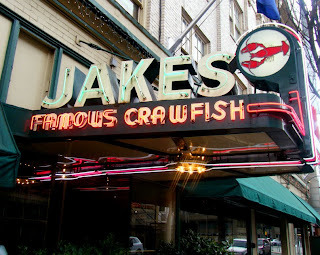 It is not clear if it took the name Jake's immediately with the new ownership in 1920, but Freiman is said to have been a popular local character who brought with him crawfish expertise and an enthusiastic following (wikipedia). The exterior of Jake's features a neon sign installed in 1927, at the dawn of the age of neon, and now the oldest remaining in Portland. Walking in under this sign one may be seated in one of the elegant, white tablecloth settings in multiple rooms to the right, or take a left into the bar. 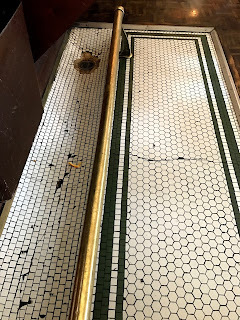 The bar is a hodgepodge of antiques and memorabilia, with a 37' mahogany Brunswick front bar and before that a tiled trough and drain dating back to the Mueller and Meier era. 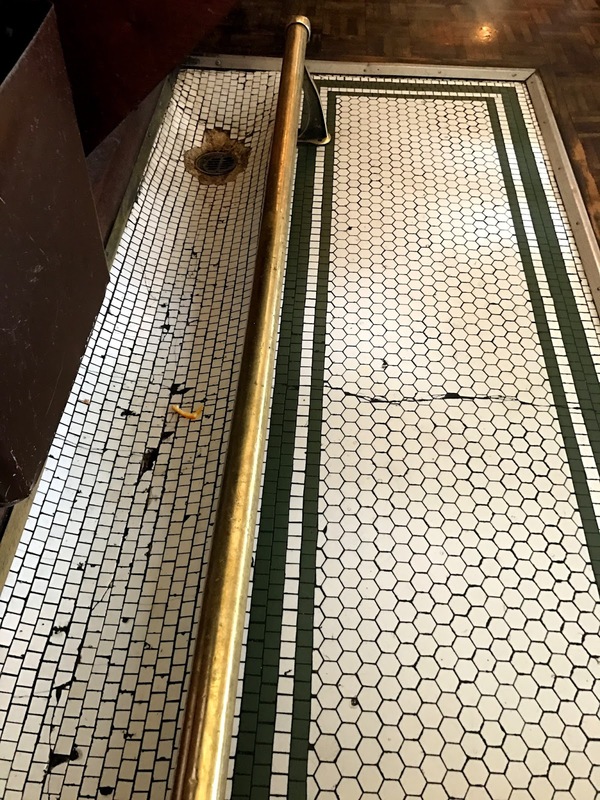 The trough once had running water for the convenience of tobacco chewing customers. 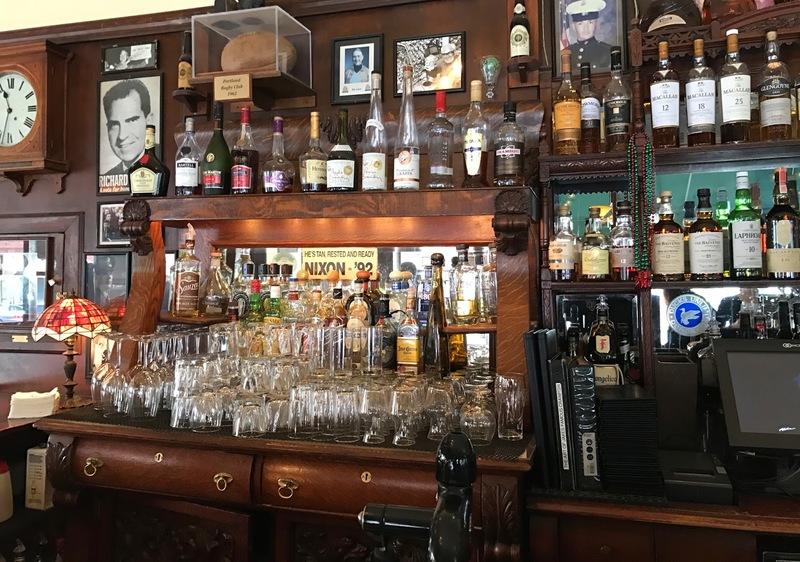 The walls feature replicas of classic paintings, old photos, and sports memorabilia, around a backbar comprising various antique cabinets and counters, some reflecting the days as a soda fountain during prohibition. 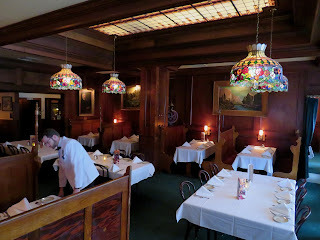 You are not likely to find cutting edge cuisine or creative craft cocktails at Jake's, but you will find a stolid, quality meal in an elegant, old school setting. Est. 1920? as "Jake's"? 1933? as a bar?